Zebras is a Year 2 class and is taught by Charlotte Burt and supported by teaching assistants Gemma Downard and Amanda Hammond. 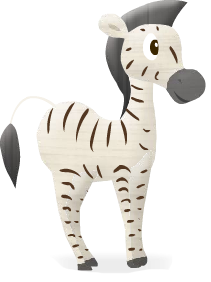 As the oldest children in the school we expect Zebras to lead the way in modelling good behaviour and being excellent role-models for the younger pupils in school. In Year 2, children continue to build on their academic skills and parents still have a role to play in listening to their child read every day, even though many children will be fluent readers at this stage. As we begin to prepare children for their move to junior school, homework has a slightly higher profile as children often have spellings to learn alongside their usual homework tasks. Zebras attend Forest School sessions each week and have the opportunity to learn to play the recorder. In the Summer term we get together with Year 2 from Priory Common School so that children move on to their next school having already made some new friends. At the end of the year, all Year 2 children nationally are assessed in reading, writing, maths and science.